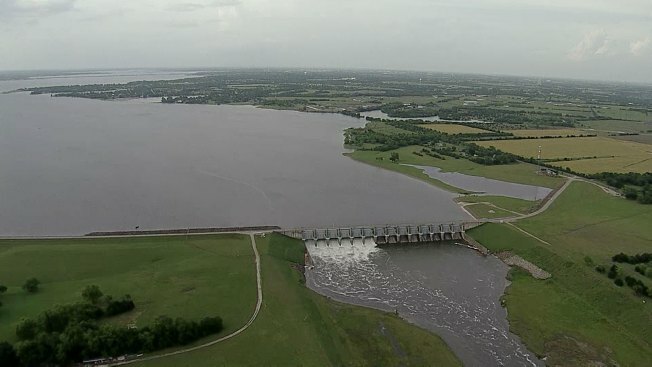 For boaters in North Texas, the recent rains is too much of a good thing. Many boat ramps and recreation areas at local lakes will be closed this Memorial Day weekend. Bardwell Lake: the boat ramps at Mott Park and Mustang are CLOSED. The boat ramp at Waxahachie Creek Park is OPEN but the horse trail and equestrian sites and Black Forest sites are CLOSED. Benbrook Lake: one ramp at South Holiday and all boatramps at Mustang Park and Rocky Creek are OPEN. The swim beach at Mustang Park is CLOSED. For the status of the Benbrook Marina, call 817.249.1173. Cleburne State Park Lake: We checked on Friday afternoon and the one single-lane boat ramp is OPEN. Eagle Mountain Lake: Click on this sentence for a link to privately operated boat ramps. Grapevine Lake: Murrell Park is OPEN. However all boat ramps are CLOSED. Joe Pool Lake: Lynn Creek Park is CLOSED. Several sites in Loyd Park and Cedar Hill State Park are CLOSED. Lake Arlington: We checked Friday and boat ramps at Richard Simpson Park and Bowman Springs Park are OPEN. Lake Bridgeport: Click on this sentence for a link to privately operated boat ramps. Lake Granbury: We checked Friday afternoon and all boat ramps are OPEN. Lake Ray Hubbard: Click on this sentence for a link to privately operated boat ramps. Lake Tawakoni: Click on this sentence for a link to privately operated boat ramps. Lake Texoma: Click on this sentence for a link to privately operated boat ramps. Lake Worth: The City of Fort Worth CLOSED the boat ramps on the evening of May 21, 2015. Lavon Lake: There are OPEN boat ramps at Bratonia Park, Lavonia Park (South), Twin Groves Park, Clearlake Park (North) and Elm Creek Park. The following are CLOSED: East Fork Mark marina boat ramp, Lavonia Park (North), Clearlake Park (South), Mallard Park, Ticky Creek Park, Avalon Park, Lakeland Park, Pebble Beach Park, Caddo Park and Highland Park. For more information, call 972.442.3141. Lewisville Lake: High water has CLOSED the Doe Branch Access and Big Sandy Access boat ramps. The Hickory Creek Park campground and Westlake/Oakland Parks day use areas are also CLOSED due to flooding. Marine Creek Lake: We checked Friday afternoon and all boat ramps are OPEN. Ray Roberts Lake: All parks CLOSED due to high water. Richland Chambers Reservoir: We checked Friday afternoon and all boat ramps are OPEN. White Rock Lake: No information at deadline. Call the City of Dallas at 214.670.8281 for information. Whitney Lake: the following boat ramps are CLOSED: Walling Bend State Side, Cedron Creek, Plowman Creek, Cedar Creek, East Lofers, Steele Creek and Kimball bend.